Elite Business Funding are an Essex based independent commercial finance brokerage specialising in alternative finance aimed at, but not exclusive to the small and medium enterprises market. We are Financial Conduct Authority authorised and provide every client a business finance solution, which best fits the financial circumstances of their company. As a team of regulated brokers, we focus on building long term relationships with both, lenders and clients, based on trust, honesty and reliability. Our reputable team invest in each and every one of our clients, having experience in handling a variety of financial cases. With this in mind, our company’s mission is to help our clients grow their business by offering our professional and expert financial advice. Whether you are seeking revenue for working capital, a new asset, to refinance existing debt, expansion, buy-out, property, renovation or any other funding need, Elite Business Funding caters for all and sources funding for every situation. With our extensive panel of lenders, we can arrange the best advancing product for both your personal and individual business needs and they are secured at the best possible rate and terms. Our dedicated relationship managers will keep you updated throughout the entire process, working for you rather than for Elite Business Funding, and as part of our dedication to our clients, we only get paid once you have received your funding. We believe in focusing on your business’ long-term benefit as opposed to a one-time transaction and we will provide a flexible service that can evolve alongside your business model. The Elite Business Funding team will work closely with you to ensure you find the right product tailored to your requirements and business stance. We offer continuous service and communication throughout your entire financial process to ensure a maximum success rate permanently for your company. With the assistance of our bespoke commercial finance brokers you’ll be able to quickly find a profitable funding solution, enabling business expansion, increasing your revenue and effectively managing your bankroll. Invest your time into our reputable, fast and efficient funding service that provides a high-quality funding option that best suits your business. Given the complexity of the financial market, our trusted team will closely assess your previous finances, as well as your current monetary circumstances. This will help us evaluate your company’s suitability for the desired funding option that you wish to obtain. If you are not viable for your preferred funding choice our team will devise additional solutions and profitable plans that will provide you a long-term, lucrative investment. 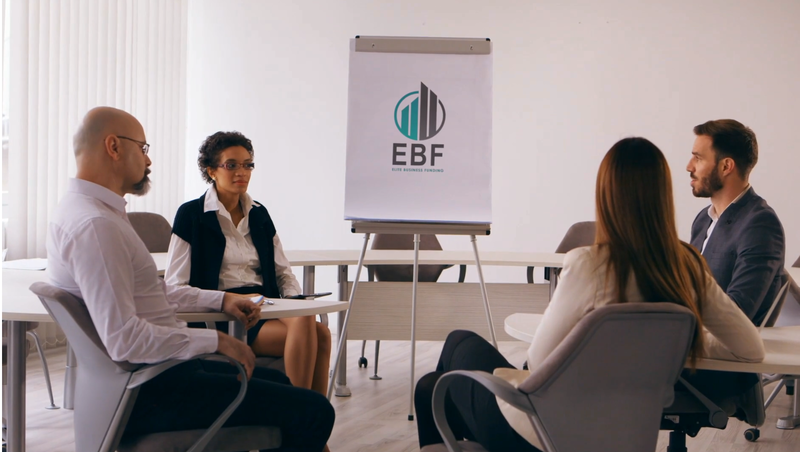 The Elite Business Funding Team is comprised of a group of hardworking industry experts with more than a decade of experience in the alternative business finance UK market, as well as the commercial finance brokers UK sector. Many of our relationship managers have extensive experience of working directly with the lenders themselves enabling us to provide an even better service than all of our competitors, as well as securing highly competitive rates which can often prove challenging for many and therefore may require our assistance. Having worked with thousands of SME’s and business owners over the years, we at Elite Business Funding are more than aware of the difficulties faced by all businesses in a variety of industries. Not only is securing finance demanding, but knowing what option is best can also be challenging. Our team are always on hand to assure you are receiving the best financial outcome available for your company. Charles has spent many years working in the Wealth Management (IFA) industry in both London and Luxembourg. During this time, he worked with one of the world’s leading independent financial advisories with more than $10 billion under advice from 80,000 clients in 100 countries. Charles has over 5 years’ experience in the alternative finance sector working for a lender in both Underwriting and Relationship Manager roles. He has also worked extensively in finance, construction, hospitality, Law and customer service positions. Beyond the office, Charles is a passionate outdoorsman; he enjoys trekking, lake and river fishing and spending time out in nature. He is also obsessed with health and fitness and is a regular fixture at the gym although he does also enjoy a good TV series binge session too. Craig brings a wealth of finance experience to the Elite Business Funding team, having worked directly for high street banks for almost a decade. He spent 5 years at Lloyds TSB Card Services and 3 years with Halifax Bank of Scotland providing merchant services to small and medium enterprises. During his career, Craig has gained extensive experience with alternative online payments brand as well as working as a Personal Finance Broker. Having worked for a major SME direct lender for 5 years, he has a wealth of knowledge that can benefit any start up business seeking funding. Craig is a self-confessed sports addict and a life-long supporter of his home team, Southend United. He believes in staying active and so when he isn’t watching sports, he can usually be found taking part in them. He is also a dedicated gig goer and music fan of all genres.